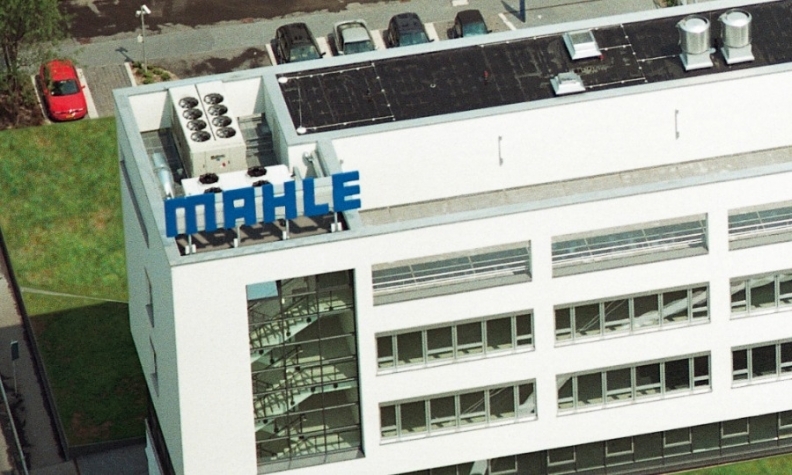 The German powertrain supplier Mahle is putting more emphasis on selling its parts in the U.S. aftermarket with a rebranding strategy and a new name: Mahle Performance. Until now, the supplier's Mahle Aftermarket unit was selling the company's performance piston rings under the brand Mahle Original Performance. Ted Hughes, Mahle Aftermarket's head of marketing, said it was "kind of an oxymoron." Many customers interpreted "Original Performance" as "original equipment replacement" rather than as a product for the performance market, Hughes said. That branding confusion extended to Mahle's performance gaskets and engine bearings, each sold under a different name. Mahle Performance will unite multiple performance brands under one name, which eventually will include tool kits for any engine upgrade, said Hughes, who operates from Mahle Aftermarket's Detroit-area offices. The rebranding will let Mahle — with total global sales of $15.1 billion last year — contend with performance competitors under a unified front. The new Mahle Performance line offers catalogs for piston rings and gaskets, plus engine bearings for performance applications on import vehicles. Domestic U.S. vehicle engine bearings used for performance applications will remain under the Clevite brand. Mahle Aftermarket President Jon Douglas told Automotive News he wants to "expand the catalog coverage into the most popular engine configurations utilized as performance engines. "We want to be able to offer a complete kit so that our customer is using Mahle Performance parts for everything," he added. The hobbyist who buys a 5.0-liter Coyote Mustang and wants to upgrade it for street racing is an example. Douglas, 48, said Mahle wants to be the go-to source for every performance part within a single Mahle Performance kit. The rebranding is specific to North America, where Douglas said the performance market is much more developed. While Mahle does not disclose aftermarket sales by region, the North American aftermarket business "accounts for a significant portion of the more than $1 billion in sales" Mahle Aftermarket generates globally. Mahle Aftermarket's performance parts are well-known in the racing and performance industry, Douglas said. But Mahle Performance is the "red thread" that now ties together Mahle's strategy in the performance market and strengthens its position as a leader, Hughes said. "With every part that we make, there's competition. This is a way to address those competitors more completely," he said.